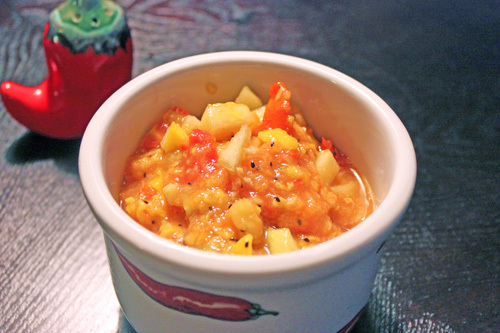 A deliciously fruity salsa recipe that is incredibly easy to make, and perfectly compliments the fruity flavor of the habanero pepper. Serve with small pita bread or spicy crackers. Or, serve this over your favorite white fish and you have a fun meal.